Did you know that social media users have risen by 176 million in the last year? That the average Internet user has 5.54 social media accounts? And that currently there are 2.3 billion active social media users? Pretty staggering statistics…right? Now imagine if you could get your ebook in front of even a tenth of a percentile what the results would be. Clearly using social media in your marketing mix is a must, however most people really don’t understand the right way to use it. Simply announcing to your followers that you have written an ebook is not enough. Free Download: Get more engagement, traffic, and followers by promoting your ebook on social media. 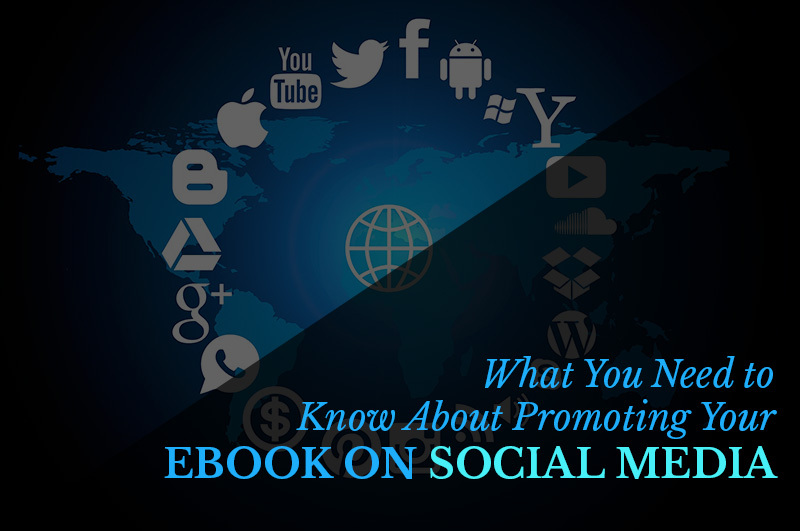 Grab your copy of ‘What You Need to Know About Promoting Your Ebook on Social Media’ in PDF. In this two-part article you’ll learn how to create a well-rounded social media marketing campaign. Part one will focus on Facebook, Twitter, and both direct and indirect approaches. Kimberly Turtenwald recommends that the sites you select should depend on the topic and industry of your ebook. She says that, “Nearly every business should have a presence on Facebook and Twitter. Instagram can be great for businesses where visuals are absolutely vital. Pinterest is an excellent choice for female dominated industries. LinkedIn is the perfect social media site for business professionals and anyone involved in business-to-business sales”. Promoting your ebook on your personal timeline to family and friends is a great way to get started, but you need to go a step further. You need to create a dedicated Facebook fan page for your ebook. You can use this to share information about the launch, snippets from inside the book, plus all of the promotions you intend to have. Fan pages also allow you to build up a huge following. And later on if you write another ebook you can also invite these users to your new fan page, plus promote to the current page as well (that’s called cross promoting). There are numerous benefits to having multiple pages and creating one is super easy. Just follow the instructions right inside of Facebook and if you get lost there are tons of great videos on YouTube. Be aware however that there is one downside. Johnny at MassPlanner says that you most likely will not have any followers when you start. So you will need to give it a little push. However, if you have done previous work you can invite those readers to like your new page. This will certainly jump start things for you. Find groups on Facebook where readers gather to share ideas and impressions about the ebooks they’ve read. Groups where people share newly published ebooks. Or groups where people share what they read. You get the idea! Post on the groups you find: you can share a video or a sample chapter or you can just tell them about the ebook along with a link to your site (so they can subscribe). People that match your target audience will like your page to find out more about the ebook. Try posting other content on your Facebook page as well. If you find something interesting that could help your audience in some way, share it on your page. It doesn’t need to be 100% about your ebook. Use an automation software to post on your Facebook page. If you want to have a good social impact and grow your marketing reach, you need to start posting consistently on your page. While my intention was to include only free options in this post, I cannot negate the fact that Facebook ads are one of the strongest ways to get in front of your target audience quickly. Now while it is a paid option and not for everyone know that you can set very small daily ad limits so even with a minimal budget you can promote your ebook. 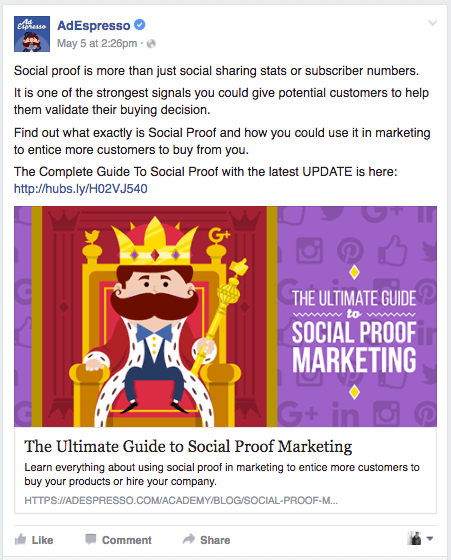 Facebook Ads allow you to target people almost guaranteed to be interested in your ebook’s topic. 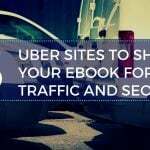 You can use Custom or Lookalike audiences to find highly targeted traffic and send them back to your ebook. 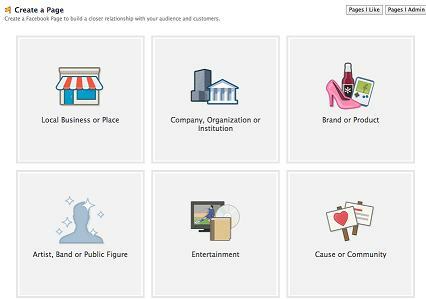 You could insert a Facebook Pixel tracking code and target people who have visited blog posts relevant to your ebook or use a list of current customers to find people similar to them. He says, “The point is, Facebook Ads allow you to reach a highly targeted audience and attract them to your ebook”. Here’s an example of a campaign they ran with a single ad, promoting a blog post that linked to the ebook’s landing page. Twitter is a great way to get the word out about your ebook. Tweet regularly and if you have a lot of followers you are sure to get tons of re-tweets. But the problem is that the lifespan of a tweet is short and therefore your ebook tweets can get lost in your timeline. For this reason, it is important to have a strategy that allows anyone who lands on your Twitter profile to find out about your ebook instantly. This is accomplished with pinning a tweet. The Pin feature on Twitter is a little-known, yet effective, tactic that gives you the ability to pin a tweet to the top of your feed. Thus the pinned tweet will always be the first one a visitor sees. Sarah Quinn at SocialMediaExaminer says that you should, “find or create a tweet you want to pin that highlights your ebook. Then right-click on the ‘Further Options’ icon and select to Pin to Your Profile Page”. 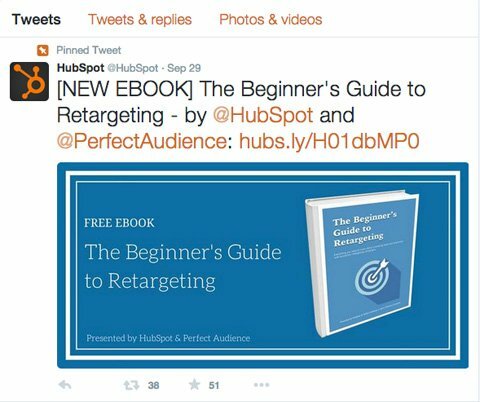 Here’s an example she shares from HubSpot who regularly pin tweets to promote, this one is of one of their ebooks. Getting your ebook in front of influencers can be extremely beneficial. Essentially if they like your work and share it your ebook will get a huge amount of exposure. Claire Grayston at WishPond says that “Social media is great for direct outreach. This involves contacting influencers in your field and asking them to take a look at your ebook and see the value included. You can then politely ask them to share it with their friends if they saw it as beneficial. While it seems like a lot of work, it can result in those individuals tweeting or sharing with their thousands of followers, meaning new exposure for your ebook”. Terri at SEOChat concurs. She says that, “Influencer marketing is the fastest way to see the actual results. Get just one influential Twitter user tweet out your book offer: And you’ll see dozens of leads coming in within just a few seconds”. Influencers may add the powerful social media context to your book and your brand and get you those needed leads and publicity. 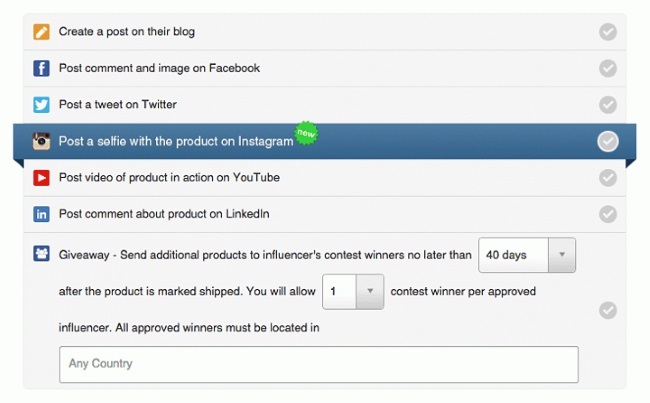 The trick is engaging those influencers. Ego-bait is one of the most efficient ways to attract those influencers. You can go as far as getting those influencers to contribute to your ebook to later engage them in promoting it. You can also use influencer connection platforms like Tomoson to find influential users across many social media platforms. A part of your overall ebook marketing strategy should include guest blogging, chatting in various forums, submitting your ebook site to directories; hence, backlinks coming from numerous sources. You then use social media to link to those specific articles or directories where your ebook has been mentioned. This is called the indirect approach. Megan Hicks says that, “If the website where the ebook is listed has a blog with a link to the book in the sidebar, include those blog posts in your promotional strategy. If your book is listed in an ebook directory, come up with creative ways to share that directory. 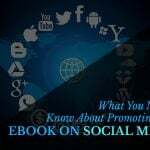 On Pinterest, there are many popular pins with titles like, “Where to Find Thousands of EBooks,” and, “Where to Find Free Ebooks.” These are examples of linking to directories, and are very important to a social media promotion strategy for ebooks”. There’s a fine line between publishing frequently and to an established schedule versus publishing excessively. No one wants to be bombarded with anyone’s self promotion no matter how great your ebook is. You need to find a happy medium, where your followers are excited about what you are sharing and not put off. Finding this takes time, but it’s something that you should be aware of and be monitoring regularly. Remember, to find the right social media sites for your ebook. Don’t waste time on sites that will not bring you the results you want. And make sure that you include Facebook and Twitter as these two have the widest scope of users. Part two of this article is where look at the other social media channels.